We live in an age where technology dictates nearly all aspects of life, at both the personal and professional scales. With the proliferation of various tools and technologies that enable startups as well as established businesses to run their operations more efficiently and smoothly, there are also new challenges relating to measurement and effectiveness that constantly arise. Today, data and analytics are widely available for businesses to make well-analyzed decisions and build strategies. From sales and marketing to communications and backend, all teams and departments must be able to measure, assess, and make wellinformed decisions using “science” that prove the desired results objectively. Talent acquisition is not different in this sense either. Hiring managers and HR departments in any business should have set expectations on what they’re meant to achieve, such as lower hiring costs or increasing relevancy of candidates. In order to do so, they need to use what is known as key performance indicators (KPIs). A KPI is a measurable value that demonstrates how effectively a company is achieving its business objective. KPIs help clarify your business goals and objectives, they show how effectively you are achieving them, they help everyone in your company stay on track and adjust their efforts, and they keep a record of what’s working in your strategy and what’s not bringing much value. For sourcing and hiring talent specifically, KPIs are a method for managers and HR professionals to see what’s working best for them, and how they can constantly improve the outcome of their hiring efforts. So, what KPIs do you need to track to ensure you start 2018 with a bigger success? Here’s a list. Yield ratio compares how many candidates pass through each hiring/screening funnel throughout your recruitment and selection process, relative to the total number of candidates you considered for a certain vacancy. To demonstrate, take a look at this example: let’s say Z-Tek, an SME based in Dubai, is hiring three web developers. They advertise their job and begin sourcing candidates. Z-Tek ends up receiving 90 applicants for this position. Of these applicants, 65 CVs match the opening requirements, and are moved onto the “phone interview stage.” Of those shortlisted candidates, 25 are sent assignments to complete as further screening, and seven of those were called in for face-to-face interviews. Z-Tek ended up with five applicants to choose from, and offered the position to two. 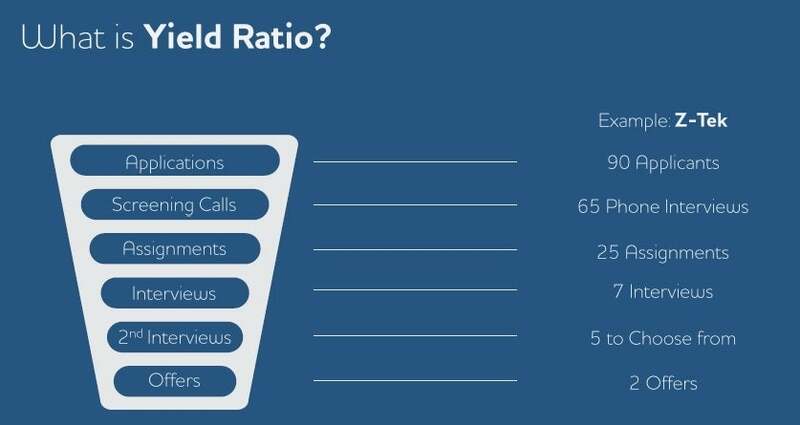 Here’s where yield ratio comes in: we can calculate it at each stage separately, choose which hiring stages we want to compare, or we can even calculate the total ratio. The way to do so is by dividing the number of candidates in one stage over the number of applicants in the previous stage, and multiplying the quotient by 100%. But how do you interpret the number? The higher your yield ratio, the better. This is because higher yield ratio means you have adopted more powerful and effective sourcing, screening, and shortlisting tools. It also means that you are ending up only with the most relevant candidates at each stage of the hiring process. Of course, in order to achieve a great yield ratio, you’ll need to optimize your recruitment process and there are many tools that help you get there. For example, Bayt.com’s advanced filtration, screen out box, and automated pre-screening tests, which are available in both job postings and CV search, can help you improve this metric easily. Advanced filtration gives you the option to search for candidates according to your specific criteria, screen out boxes automatically, filter out applicants who apply for your job but do not meet the specific criteria set by you, and pre-screening tests, give you the ability to add an automatic screening questionnaire for every job you advertise in order to remove underqualified candidates. By using these tools, you will automatically eliminate candidates who do not have the skillset you are looking for, improving your qualified candidate per opening ratio, increasing candidate relevancy, lowering your recruitment costs, lowering interview time and costs, and –of course– improving your overall yield ratio. Two-thirds (66%) of employees state that a low base salary is their main reason for leaving a job, according to the Bayt.com Job Satisfaction In The MENA Region survey. Over the years, employers have come to realize this fact too. In fact, the same survey showed that 83% of employers find it important to research market salaries when offering jobs to candidates in order to ensure they master this attribute and maintain their competiveness as employers. Without surprise, the second KPI that every organization needs to look at is the salary competitiveness ratio. This KPI evaluates the competitiveness of the salary a company offers for employees and potential candidates, in comparison to other companies in the same industry and location. 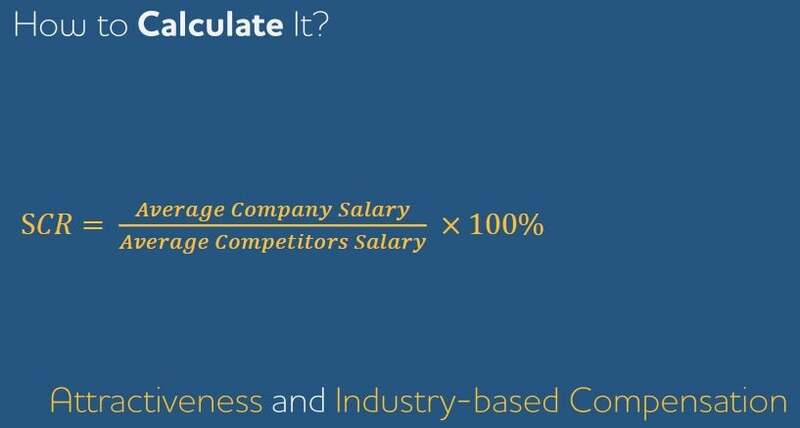 By calculating your salary competitiveness ratio, you maintain your attractiveness to candidates and your ability to retain your current employees. At the same time, you will ensure a healthy compensation level that is within your specific market standards. Although acquiring information about average salaries in an entire industry, as well as the ones offered by competitors specifically, is not an easy task, there are also several tools available for this metric. Bayt.com offers a Pay Scale Analysis Report, which is a customized and detailed report including a breakdown of salaries for specific job titles, specific industries, and specific locations. By taking this KPI into consideration, you’ll be able to maintain a healthy “average salary,” and you will build your own pay scale within the parameters of the salaries offered by your competition. This will surely increase your competitiveness as an employer among top talent and will also help you retain your top achievers. Another KPI, which you should definitely track as an HR professional, is your offer acceptance rate. 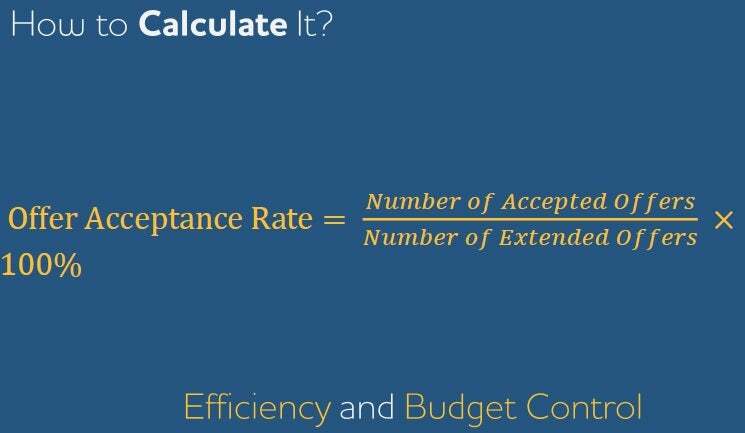 This metric shows you a percentage of how many of your offers were accepted compared to the total number of offers you extended. The higher the acceptance rate, the less effort and money you’ve wasted on recruiting candidates and the more effective your recruitment strategy has been. Because at the end of the day, you want to ensure your entire hiring process leads to job offers that are accepted by the best candidates out there. For your offer acceptance rate, you need to comprehensively measure the effectiveness of your talent sourcing efforts for your business. Always look at the bigger picture. Do not limit your measurement to one or two openings. Look at five or 10 positions at least at a time. Alternatively, you can look at how many job offers you extended in a month, a quarter, or even a year and how many of those were accepted. Job seekers are not just concerned with getting a job, they also think ahead in terms of where the job will take them and how it will help them advance in their career. If a job seeker doesn’t feel that their job responsibilities are what they expect, what they are skilled at, or what will cater to their future needs and career growth aspirations, they are most likely going to turn down the job offer. The financial aspect is always an important one, as mentioned above in the salary competitiveness ratio. Therefore, you’ll need to focus on your salary offer and how it compares to the job seeker’s expectation. Indeed, these job attributes, among others, need to be addressed by your job offer to increase the acceptance rate. But in order to make sure what you offer aligns well with what the candidate seeks, you need to utilize a few tools. One of the main techniques to improve this KPI is choosing the right candidates to send offers to. Bayt.com tests, for instance, helps you assess candidates based on various factors. By using categories such as job knowledge, communication skills or even personality tests, you can ensure that the candidate is actually the perfect fit for the job, and are much more likely to accept your offer. Another tip is to include an “expectations” section when setting up your job application. This way you will have a clear idea of what each candidate is looking for and whether or not you are able to offer them that. On a final note, and what the majority of HR professionals consider to be the most important, is the cost and time spent per hire. These metrics are what hiring managers and HR have to keep track of and report on a regular basis. Why does this matter? Because this is the sum of all of the above and it is directly related to the success of all stages of the recruitment process. At the end of the day, hiring new employees must be done within a given timeframe and a specified budget. But keep in mind that improving the aforementioned KPIs will also bring down your cost and time to hire, and prove the effectiveness of your overall hiring strategy. Yield ratio ensures you are not wasting time or money on irrelevant candidates and that you are screening very effectively. Salary competitiveness ratio will ensure you do not undercompensate or overcompensate your employees and quickly attract top talent. Offer acceptance rate will also ensure alignment between you and the job seeker and streamlining the final stages of hiring.